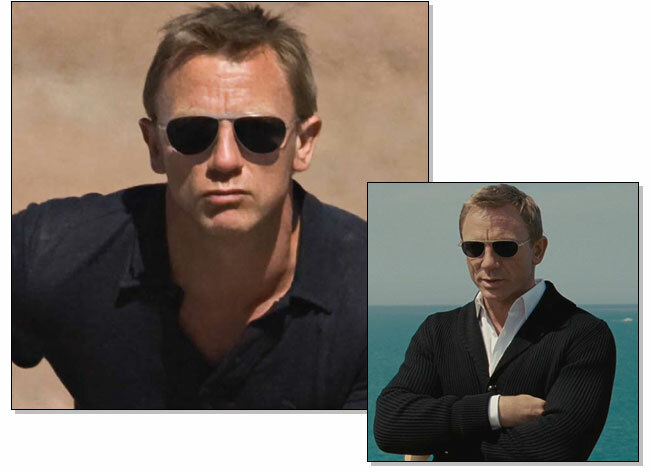 Well well well, it’s been officially confirmed that Daniel Craig will be wearing Tom Ford Sunglasses in the next installment of the James Bond franchise, Skyfall, to be released on the 26th October 2012 in UK cinemas. When the Skyfall announcement was made on the 3rd November 2011 we did ponder whether Daniel Craig would be wearing Persol’s or Tom Ford’s, or something completely different (I think he would look marvellous in a pair of sparkly Chopards myself!). It looks like our ponderings were proved to be correct! “I could not be happier to be dressing Daniel Craig again in the next James Bond film” said Ford, ” James Bond epitomises the Tom Ford man in his elegance, style and love of luxury”. This is not the first time Tom Ford have been called upon to provide Sunglasses for the suarve Mr Bond with Daniel Craig sporting the stunning FT108S in The Quantum of Solace as displayed below. James, if you hope to impress us please let's get the spelling right – swarve ? James Bond is suave yes SUAVE – haven't had time to find out what swarve means must check it out unless you let me know first !